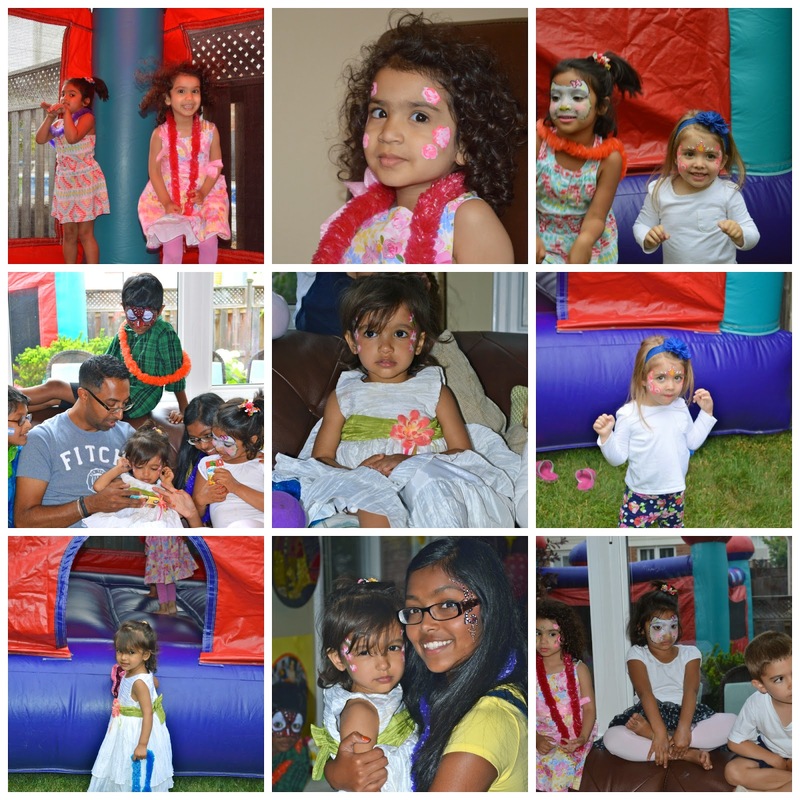 it's my girls' world: Anjali's Backyard Birthday Bash. 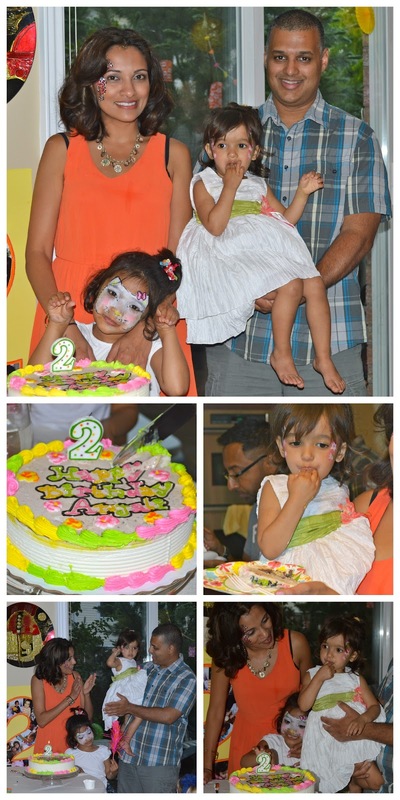 This past Saturday was Anjali's 2nd birthday party. As she didn't have a first birthday party (we were in Malaysia so we had a lunch for her with about a dozen people), we really wanted to do something to celebrate her. Since it was summer, we decided to throw her a backyard bash. About 30 of our friends came together to celebrate Anjali. We had a wonderful time and the kids had so much fun, even though the weather didn't totally cooperate. 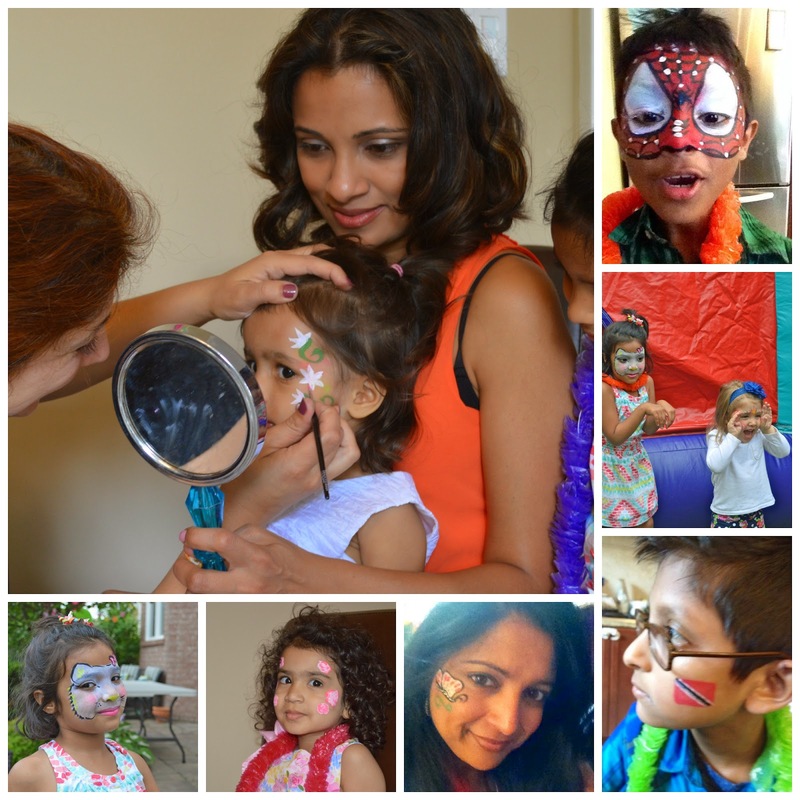 Here are a few details from Anjali's special day. I wanted to do just lots of bright festive colours and simple, sunshiny summer stuff so that emanates throughout. I did this banner on Picmonkey and had it printed poster size. Because we were so busy, I forgot to take pictures of inside and outside. Lots of pink and yellow lanterns, fans, balloons and decorations. D happened to take this one before. And you can see some details in the background of this picture but there was so much more. All week long, the weather forecast for Saturday was sunshine and then on Friday-boom it changed. Slight showers throughout. It wasn't too bad though when the rain happened, we just moved the party inside and everyone hung out/played there. 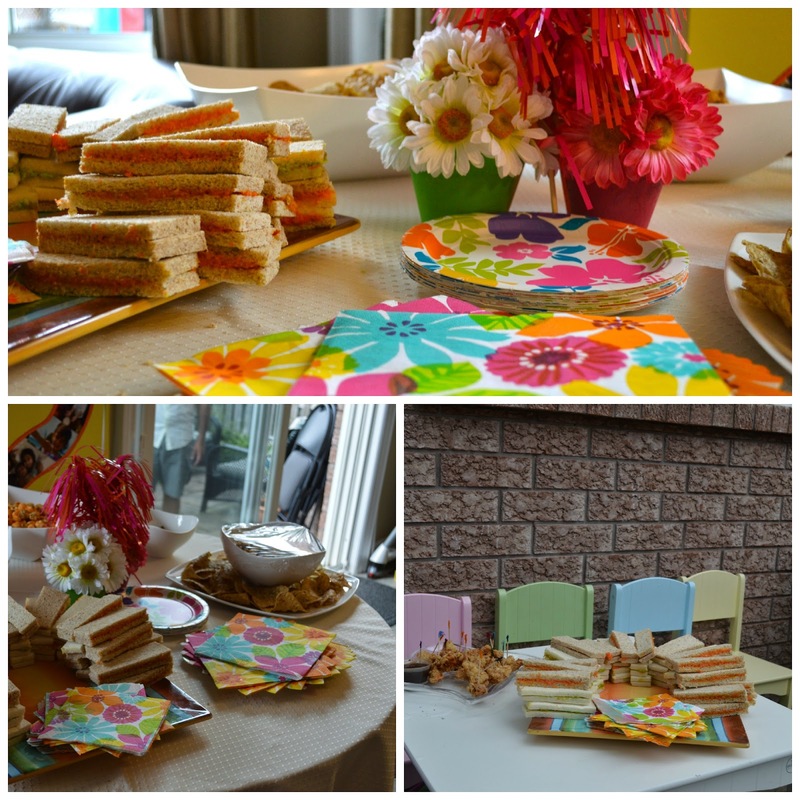 Even though the party was two o'clock, we always feed people when they come to our house so I did lots of finger food: samosas, sushi, wings, cheese paste sandwiches, pinwheels, puffs, brie, bean dip, fruit, veggies and other snacks. We did only the dip and sandwiches though. Everything else was either ordered or donated by my helpful friends (thanks Sukhi and Andrea). Okay, maybe it was a lot but after dinner that night, a couple take out boxes for friends and snacking the day after, it's all done! I wanted to do party activities that Anjali loves. I don't know what she loves more than bouncing (hence the bouncy castle) and putting on Mommy's makeup. Whenever there's face painting at an event we go to, she is first in line. The face painting was so much fun and the face painter was so talented. Even the bigger kids and adults (well me and Andrea) got in the fun. And the babies got some stuff done on their hands and feet.... and then Cassia decided to do Hello Kitty and became a cat for the rest of the evening! 1- For the little kids (2 and under), I did a bucket of pool/beach toys together with bubbles, play-doh and Annie's Organic cookies. 2- For the kids ages 2-8, I did a larger bucket, filled with summer activities: bubbles, chalk, jump rope, balls, stickers, cool sunglasses, snacks and who knows what else! 3- For the kids 8 and older, I did a ticket for a kid's movie pass with admission, popcorn, candy and a drink. Sorry Dads, I could not find a supplier for the summer sugar cookies I had intended to use as your party favours. Some of our guests. A mix of people with kids and without, babies and grown kids, out of towners and local folks. Thanks to everyone for coming out! We really appreciate it! And a few of the kids. And then there was cake. A Dairy Queen Blizzard Ice Cream Cake of course!! I found this idea on pinterest but Darin made it even better and we had her party guests sign it. All it took was a piece of construction paper, lots of photos and some crayons and creativity! I really must shout out our friends Johann and Roshni who helped so much with all the set up and organising. Johann's past career being Food and Beverage manager for one of the top hotels in Trinidad didn't hurt either. 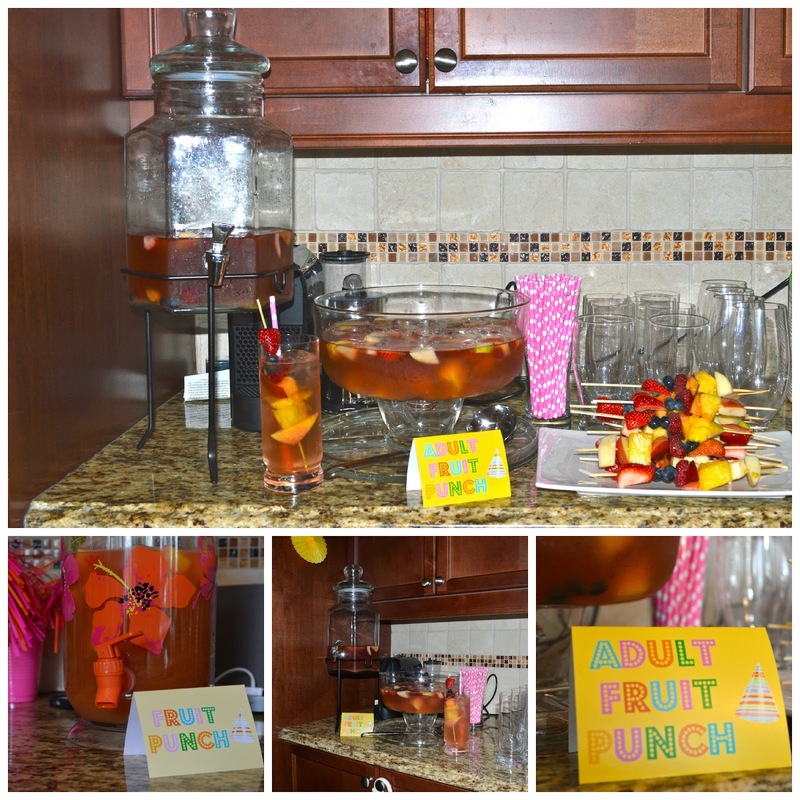 He totally reorganised the furniture, concocted all the drinks, helped with the food prep, decorated, cleaned up before and up-kept everything through the party. Everything ran as smoothly as one of his 5 star events. 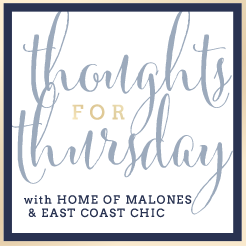 I seriously did not have as much to do as I usually do and learnt even more about event planning for future events. Afterwards, some of my incredibly sweet friends (again Suhki and Andrea) helped me tidy up and pack away stuff. Andrea's family hung out for the evening and we had sushi, snacks, more punch, a kids dance party, and chai. Some adults may or may not have also jumped around in the bouncy castle and some kids may or may not have said it was the funniest part of the party. I could not have asked for a better party for my sweetheart....okay maybe I could have asked for more sunshine but everything else turned out fantastic! There were so many good wishes and love surrounding Anjali. We are so thankful to our friends for helping to make her day so special. 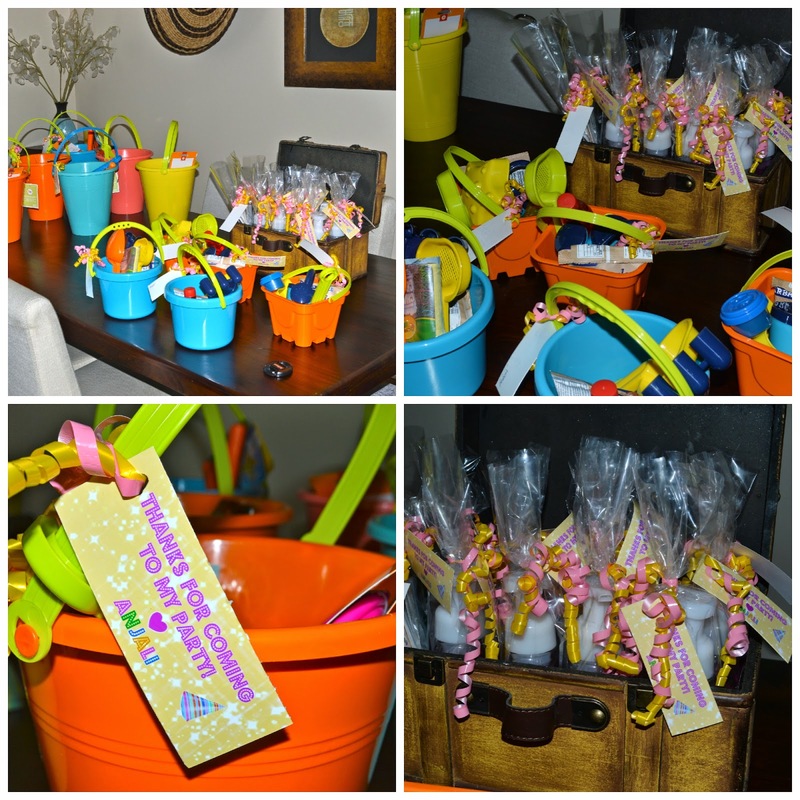 Love all the bright colors and favors! Great job momma! New reader from the link up! Sarita, it was a great party. Everything was beautifully decorated and well-organized. Nadia and Jahna absolutely loved the bouncy castle. 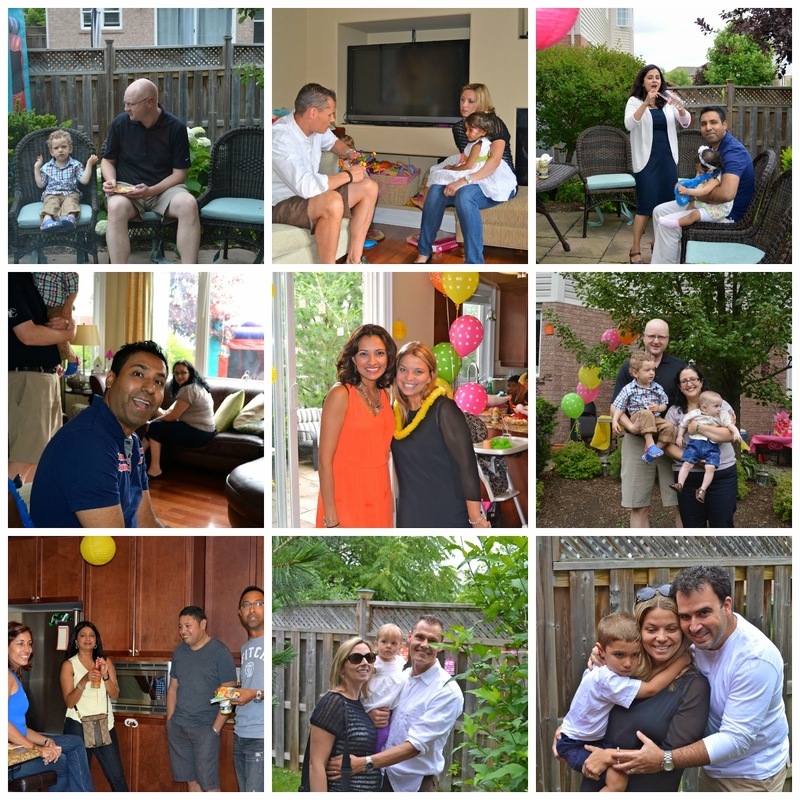 We are so glad we were able to join in celebrating sweet Anjali's 2nd birthday. Have a great year little Princess! What a fun party! I love the polka dot balloons and wouldn't mind a Blizzard cake!! I don't know how my first comment got swallowed into a black hole, but it did! Anyway, thanks for having us, it was a blast and Raven loved the flowers on her arm. All night she kept pointing to it. Anjali is such a cutie pie, and I don't know how your two year old kept her white party dress white!? Amazing! 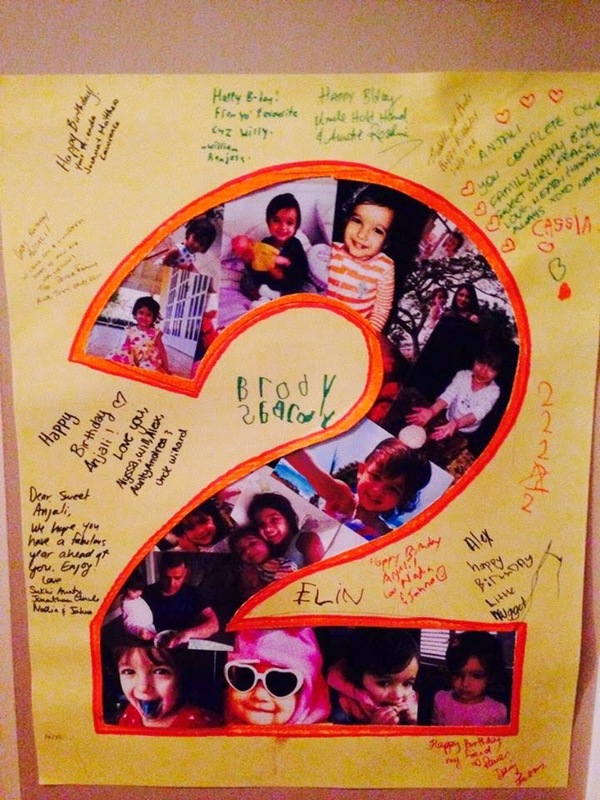 So nice to see so many friends celebrating this little one's life!